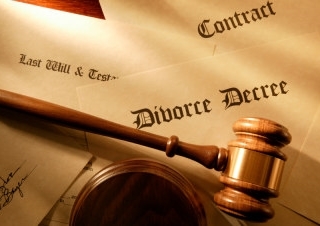 At SD Legal Center, we specialize in Legal Documents Preparation, we are not Attorneys. Our services include, Living Trusts & Wills, legal name changes, Divorce, Custody, Visitation, Child Support, Spousal Support, Division of Property and Debts, and more. We charge a flat fee so you will always know exactly what your costs are before we get started. We not only prepare all of your needed legal documents, we will process them through the courts, at the proper time, during the six month period we take the legal action from beginning to end. Time and time again, we have saved thousands of dollars over Attorney fees for our clients with every case. When you come to SD Legal Center for your legal documentation needs, our staff will provide you with professional, efficient service, that is backed by years of experience and knowledge. We complete the documentation process and file the documents with the court. You will be assured that all required documents will be included in our process, allowing you more time to focus on other important things and to relieve the extraordinary stress that can sometimes come with court procedures and requirements. SD Legal Center is committed to ensuring that you get complete and organized legal document preparation for many of the common court matters. For a free Legal Document consultation, come into our San Diego office, call us today at (619) 787-6756, send us an email or fill out the Contact Request form and we will get back to you right away. We do not offer legal advice, but our experts can help through the legal process. You can depend on us to be sure that all required documents are completed and filed with the courts on time. We will keep you updated all through the process and are always available to answer your questions.